This book focuses on psychological issues related to technology and work. Topics are set within areas of occupational psychology that include job and task design, training, selection, assessment and motivation, workload analysis, environmental and personal influences on mental processing, safety at work, and working in teams. 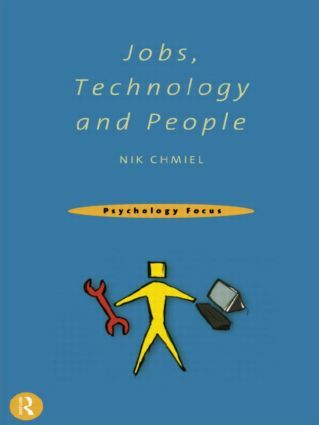 Nik Chmiel introduces important topics to those without previous knowledge of them, and illustrates the relevance of psychological knowledge to the analysis of jobs and use of technology. It will be useful to students of psychology, business studies and organizational behaviour, and to professionals in human resource management and human factors consultancies.